“Cancel the apocalypse.” No, wait…wrong movie. Fox has just released the full trailer for the next installment in the ‘X-Men‘ franchise, which has allowed Bryan Singer in the director’s chair again. 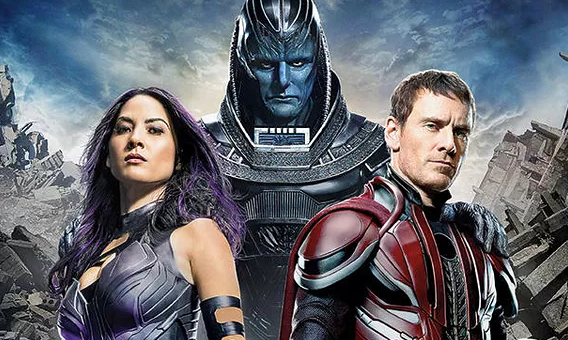 This marks the fourth X-Men movie for the director as a director. The film will be released on May 27, 2016 and looks to be bigger, meaner, and apocalyptic. This entry was posted on Friday, December 11th, 2015 at 9:58 am	and is filed under Comics, Film, News. You can follow any responses to this entry through the RSS 2.0 feed. You can skip to the end and leave a response. Pinging is currently not allowed. I dunno, I remember the last time a bridge got destroyed in an X-Men movie…wasn’t exactly the team’s finest hour. Then again Brett Ratner might have had something to do with that:P But I’ll stay hopeful as this is just a teaser. « Enjoy The Trailer For ‘The Legend of Tarzan’!! !